For rack-mount requirements, the AquaVolt, AquaVolt+, and Tracer 2 are a perfect fit. The MEECO 19 inch rack-mount holds two instruments side-by-side. The AquaVolt provides precise, on-line moisture monitoring for industrial gases in production and at various stages of product purification. 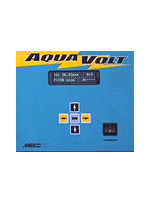 It’s also well suited for trailer and cylinder filling monitoring, as well as for shielding gases used in welding. 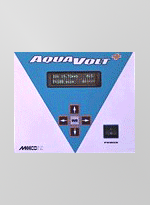 The AquaVolt+ provides precise, on-line moisture monitoring for high-purity applications, such as semiconductor manufacturing, specialty gas applications, mobile cart applications, and research and industrial labs. 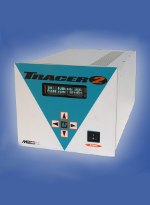 The Tracer 2 addresses the need for accurate, reliable process controls, and moisture sampling at levels at or below single-digit parts-per-billion. It is ideally suited for ultra-high-purity moisture detection in semiconductor manufacturing processes, inert and specialty gases, component and system testing, and laboratory research applications.